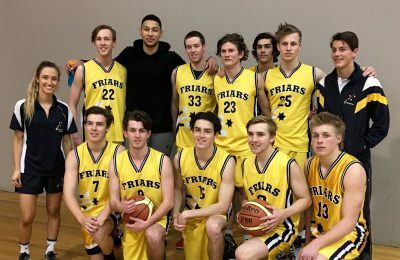 Former Whitefriars Year 7 Division 1 A Basketball premiership player and MVP, Ben Simmons dropped in this afternoon to Dandenong Basketball Stadium and watched our Senior Basketball side compete in the Basketball Victoria Champions Cup. It was obviously fantastic of the now #1 NBA draft pick and Philadelphia 76ers player to stop by the boys game. Our Senior Basketball side certainly got a buzz out of it!